San Diego MLS has chosen to use SentriLock as our electronic lockbox system in San Diego County. Sentrilock offers superior technology and services to real estate professionals nationwide at about half the annual cost of competitor fees. Visit your Association of REALTORS® for lockbox/keycard assistance or to purchase a SentriLock keycard or lockbox. Sentrilock Fees are billed annually directly from Sentrilock. For SentriLock Tech Support or troubleshooting call (877) 736-8745. Sentrilock Support is open 7 days a week between 8 a.m. and Midnight E.T. SentriSmart® is a mobile application allowing access to a lockbox key compartment with the use of a Mobile Access Code, automatic listing assignments, and instant showing notifications. Go to your App Store and download the App today! There is also a field within Listing Maintenance that allows you to publish the Lock Box Serial number. You can add this field to your reports so you know the serial number of the Lockbox on a property. Helpful when showing Condo Projects or Downtown. This does not assign the Lockbox within the Sentrilock product. You must use the Sentrilock functions within Paragon or directly on the Sentrilock site or Sentrismart App. 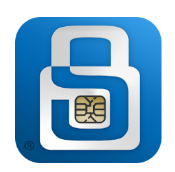 Visit the Sentrilock Website to install the card reader software to your computer. After software is installed attach your reader to the USB port and put your SentriCard into the reader—arrows first (make sure you are still connected to the internet). The reader will automatically bring up your member number in a Sentrilock screen. Type in your password and click renew. When you have successfully logged in click OK.